Have questions about our Columbus dentistry practice or about dentistry in general? We hope you find answers to your questions in the following section. If you would like further information or have another question, please give us a call, send an email, or ask us during your next visit. We are always ready to help our patients in any way we can. Our outstanding team of professionals! We are proud of them all, as they are repeatedly excellent at what they do. Each of them are gifted at creating beautiful human connections. Any one of them is likely to leave a memorable impression on you. When you become a patient of our Columbus dentistry practice, we think of you as a person, not just another set of teeth to fix and clean. Our goal is to help you obtain and then maintain the best possible oral health. We take time to understand your dental history and evaluate the best options for your particular dental needs. Plus, we help you understand the importance of preventive care through thorough patient education programs. How do the doctors keep up-to-date on the current techniques/materials? Our doctors subscribe to the latest industry journals to keep tabs on research and development in the dental industry. They also take time for continuing education, and ensure the staff does the same. As a team and as individuals, our Columbus dentistry practice makes it our responsibility to be familiar with the latest techniques and materials available. Also, the extensive training and years of experience of our dentists. Her innate propensity for attention to detail is notable. Do you accept referrals at your Columbus dentistry practice? We are happy to accept referrals from other dental offices, as well as from recommendations by our patients to their family and friends. Your referrals are our best compliments! 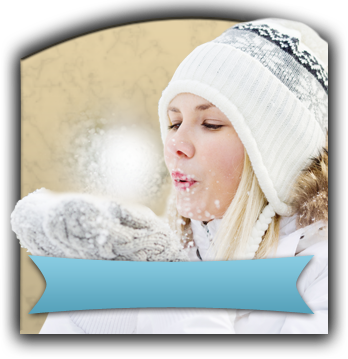 In case of a true dental emergency, please contact our Columbus dentistry practice voice mail and let us know the nature of your condition. We will return your call as soon as possible, give you helpful information over the phone, and then determine if you need to be seen immediately. I really don’t like visiting the dentist, is there anything you can do to help me relax? We understand many people have qualms about having their teeth worked on. We strive to create a relaxing atmosphere and offer entertainment and distractions, including Netflix movies in all rooms so you can keep your mind on more pleasant things. 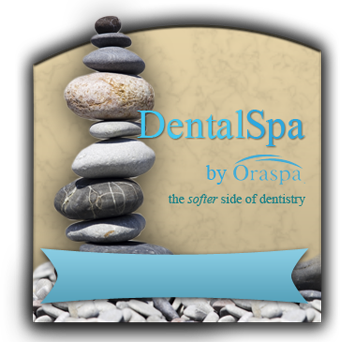 Our DentalSpa™ technique makes dentistry in Columbus a pleasant experience you’ll look forward to every six months. In addition, we offer oral sedation for patients who experience extreme anxiety or dental phobia so that you can get the treatment you need for optimal oral health. Dr. Courtney has a number of ways to improve the look of your front teeth without the use of unsightly braces. For slightly crooked or unevenly worn teeth, a bit of reshaping and the addition of porcelain veneers may be sufficient to give them a bright, uniform look. In other cases, it may be necessary to attach invisible braces behind the front teeth or to straighten with Invisalign clear aligners. We would be happy to talk with you further about the option that best suits your individual situation. When you come to Dr. Courtney and the team at our Columbus dentistry practice to update and improve your smile, she will begin by photographing your current smile. Together, you will review your smile and discuss what you would like to change or improve. Next, Dr. Courtney will take impressions of your of teeth and make models in order to begin the next phase in the process…Smile Design. One of the best ways to begin this process is to show you some before and after photos of individuals who’ve come to our Columbus dentistry practice for cosmetic dentistry. These patients may share similar features to you such as shape of face, skin color, etc. These photos allow you to see real transformations and imagine how your own smile might look after similar treatment. For porcelain veneers , you are even able to select a smile from our Smile Catalog. We give your selection to our Master Lab Technician at MacVeneers, who will design a smile in wax according to your specifications. You will be able to see how your smile will look prior to moving forward. Once approved, you will be able to "try out" your new smile, as your temporary veneers will look just like the wax-up version. Call for further details! Still have questions? Contact us today. We’re here to help you and are always glad to talk through your concerns.